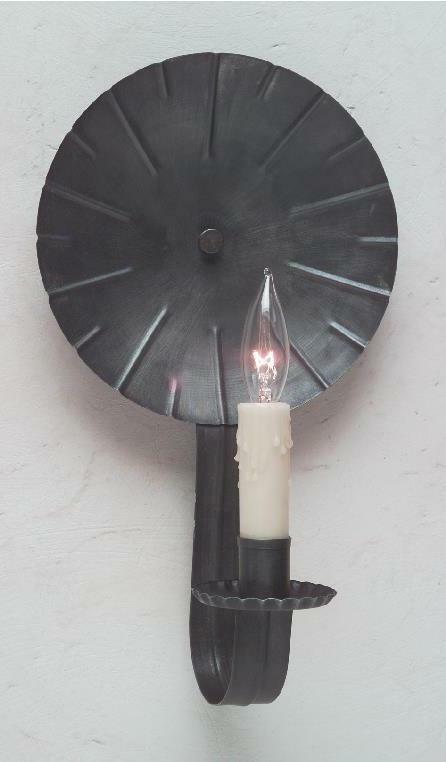 First & foremost, at Hammerworks we handcraft Colonial Wall Sconces in a variety of styles, sizes and finishes for your Early American home. 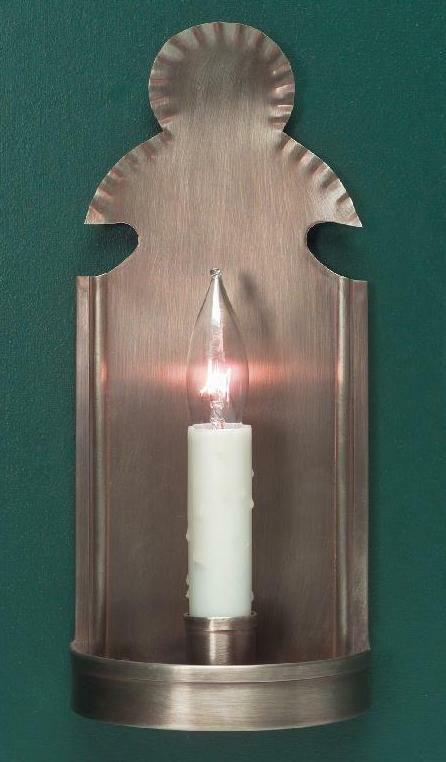 Above all, we use only the highest quality solid copper, brass or tin to create each wall sconce. Most importantly, since 1979 we have been leading the way in the reproduction lighting industry. Not only that, we employ the same tools and techniques as the original craftsmen. 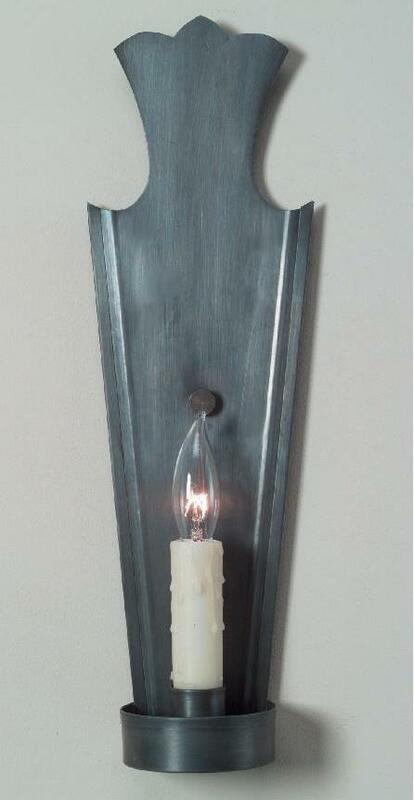 Therefore, you will always receive a superior quality handmade Colonial 18th Century Tin Wall Sconce. 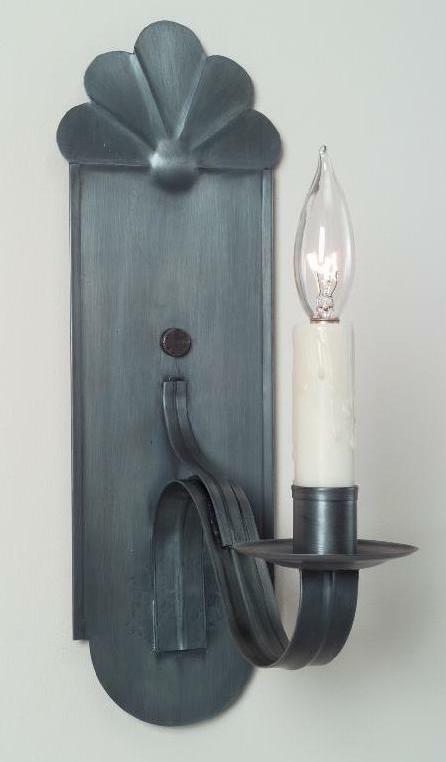 Most importantly, because of the various finish options available, it allows flexibility in coordinating Colonial Wall Sconces with the color scheme and style of any setting. 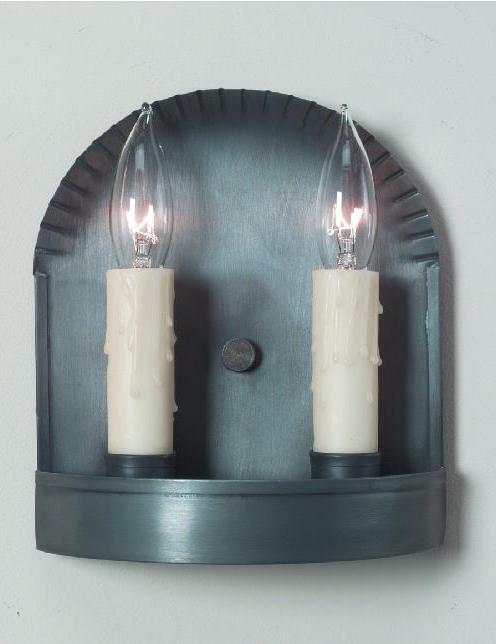 Therefore, from a classic Williamsburg Colonial home to a New England Farmhouse, we offer Vintage Wall Sconces that are just right. Above all, our Antique Wall Sconces combine beauty and function, making them a perfect decorating accessory in any period reproduction room. Not only that, they coordinate perfectly with any of our Colonial Wooden Chandeliers, or perhaps the Antique Colonial Ceiling Lights. 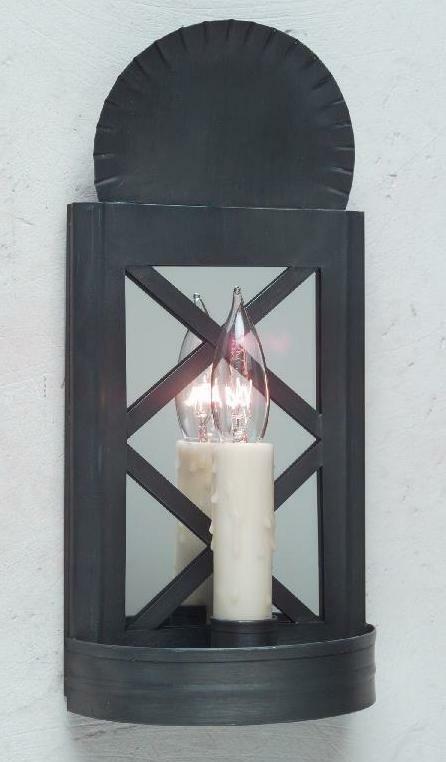 Especially relevant, for areas where you need additional lighting, we offer many of our Colonial Home Wall Sconces with 2 or 3 candles. 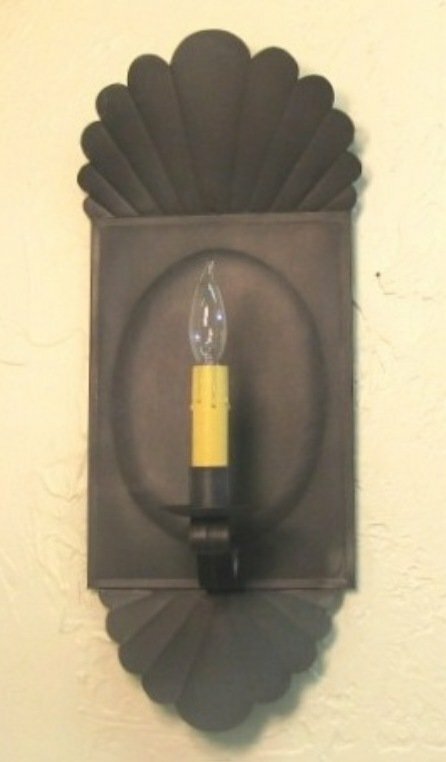 Furthermore, each Antique Reproduction Wall Sconce accommodates 60 watts per candelabra socket, assuring plenty of light. 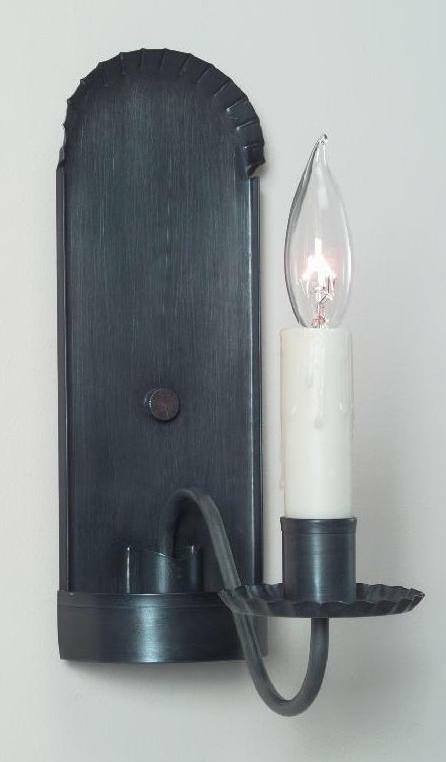 Of course, with our capability to create and handcraft sconces, custom work is always welcome. 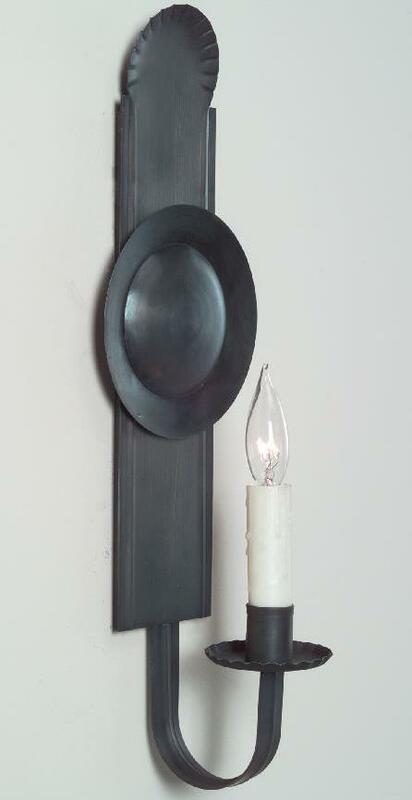 For that reason, if you want a more Rustic Style Wall Sconce, ask for Colonial Wall Sconces in a non-electric candle version. 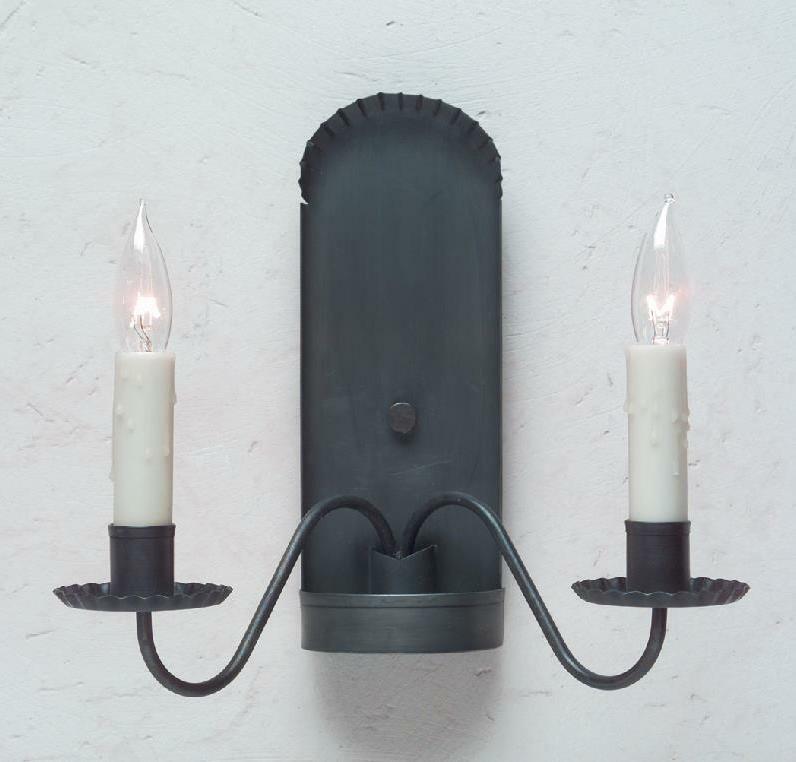 No matter what, regardless of the style of your home, from an Early American Saltbox to a Cape Cod Cottage, we offer a Colonial Wall Sconce perfect for any setting. 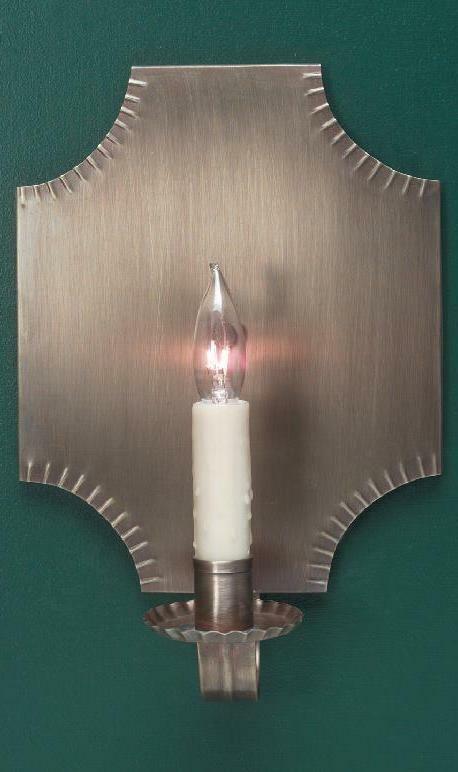 In addition, while residential use is most common, we often provide reproduction wall sconces to restaurants and other commercial establishments. 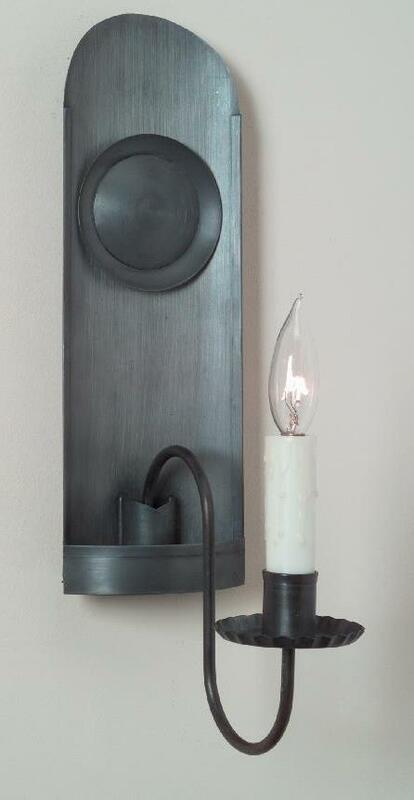 Also, in terms of design, Colonial Wall Sconces range from primitive to elegant. 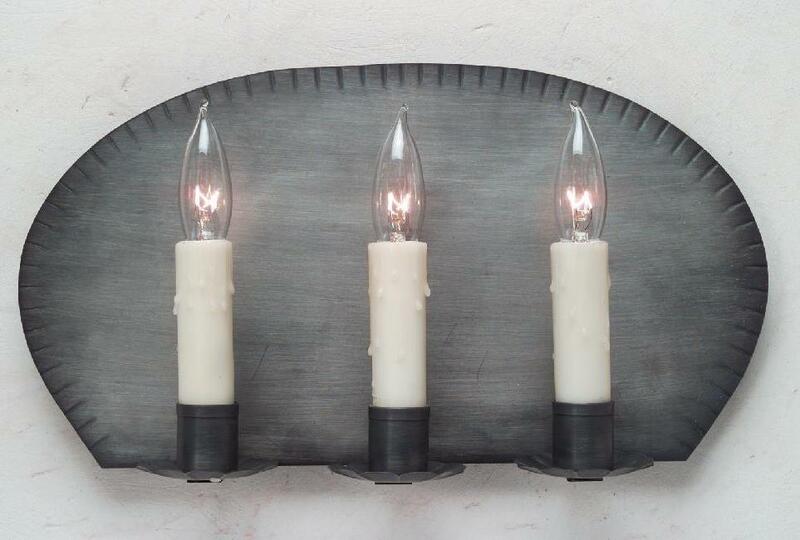 Therefore, from simple Classic Design Tin Wall Sconces to the impressive Vintage Mirrored Wall Sconce collections, the possibilities are endless. 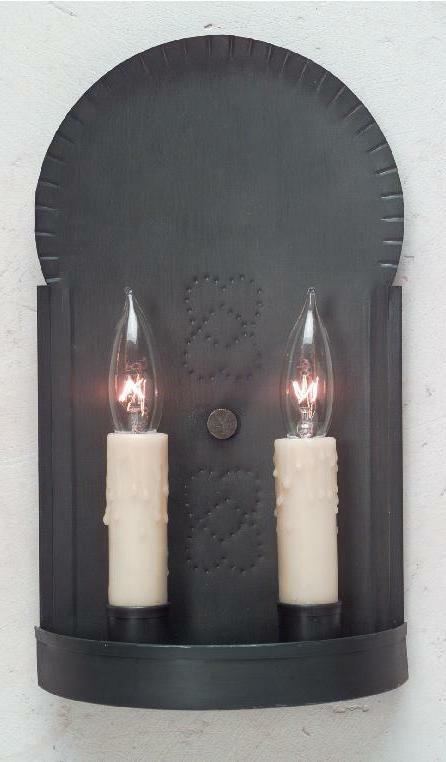 Of course, while our period antique reproduction wall sconces add charm to the overall design of any setting, proper placement is important. Thus, keep in mind height as well as room location. 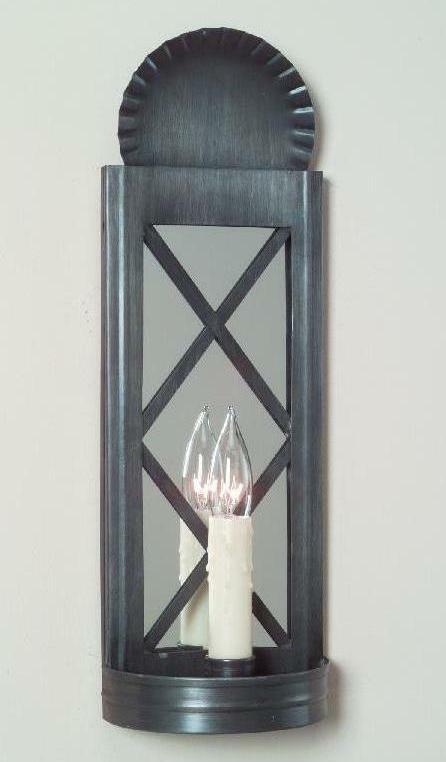 Consequently, you should install handcrafted sconces at the correct height level when coordinated with artwork, or above fireplace mantles. In addition, perhaps an area behind a chair, sofa or over a desk is an ideal place to provide additional lighting. 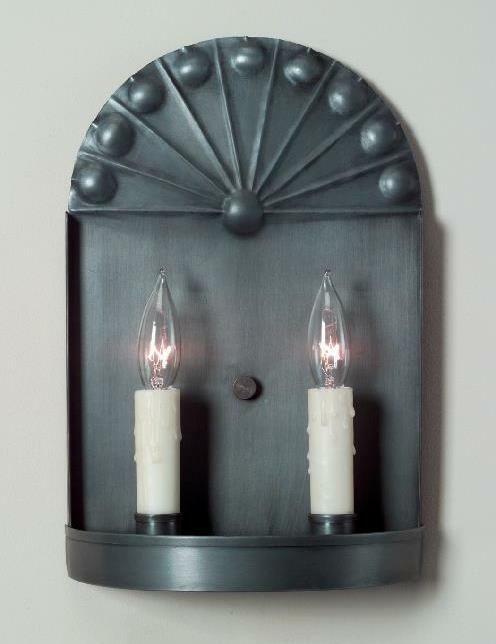 Finally, consider pairing Colonial Wall Sconces with other fixtures, such as Colonial Pierced Tin Chandeliers. 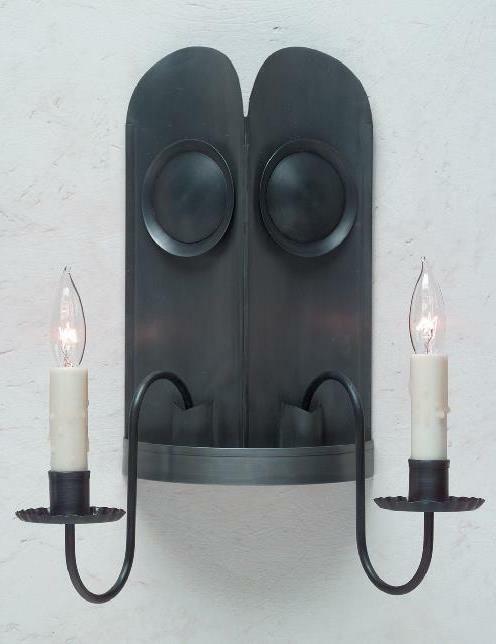 Above all, Colonial Wall Sconces offer countless Home Decor Options throughout your reproduction home. 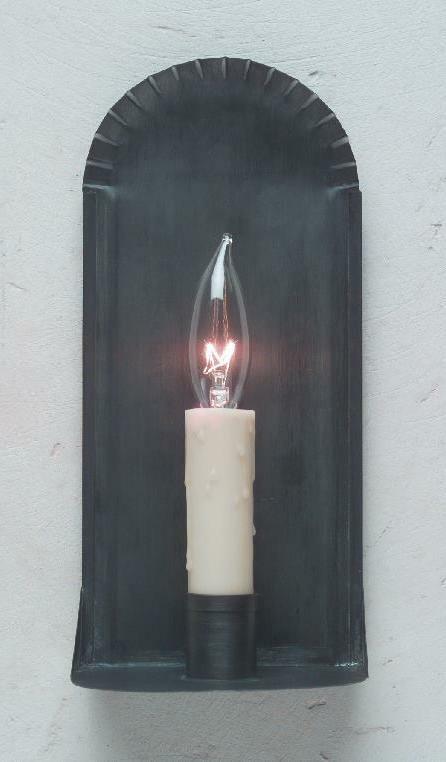 Therefore, they are an excellent choice to illuminate a dark hallway, or even as accent lighting in a bathroom. Additionally, due to their versatility, an alcove in a bedroom or living area are ideal spots. 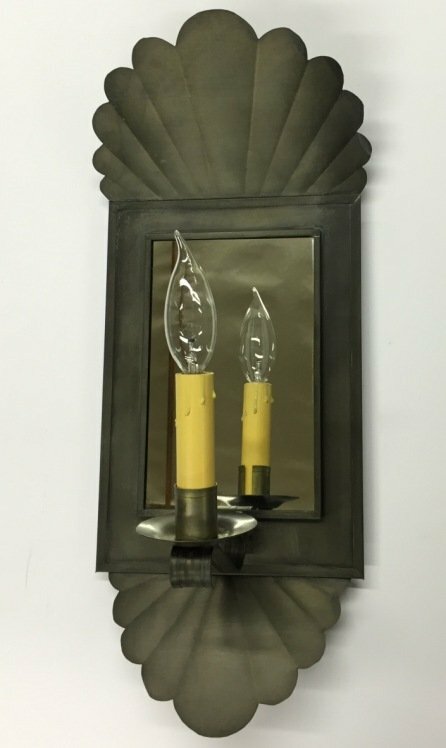 Furthermore, you can easily pair any of our reproduction wall sconces with one of our coordinating Antique Colonial Tin Chandeliers. 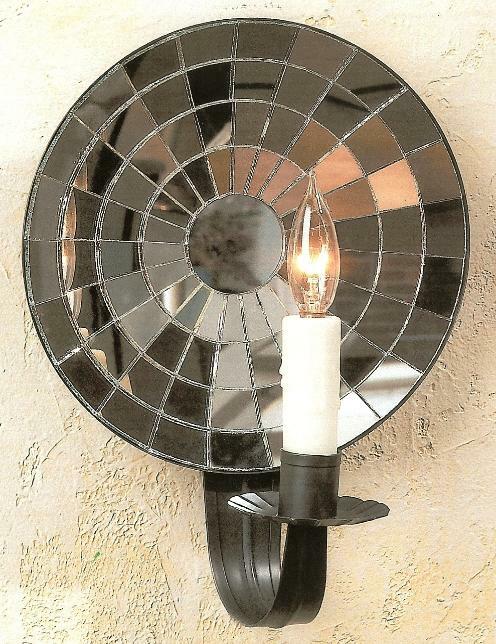 Certainly, Hammerworks Colonial Mirrored Wall Sconce Collection offers a variety of excellent choices to create a dramatic statement. 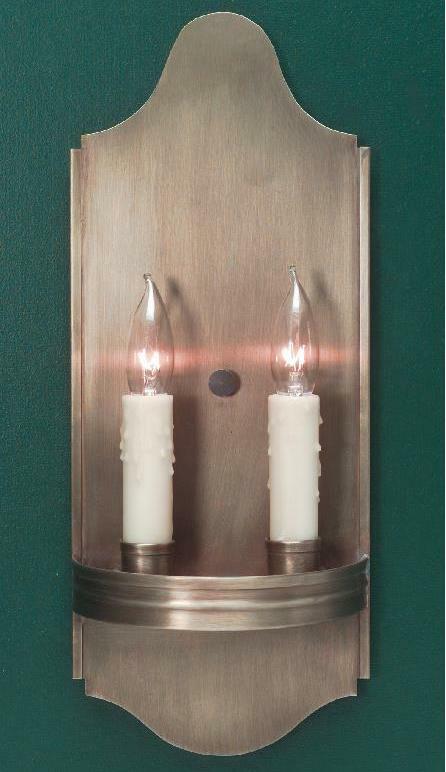 Most notably, models include the Rustic Mirrored Wall Sconces S106 in 3 sizes, and the Williamsburg Primitive Wall Sconce S141, among others. 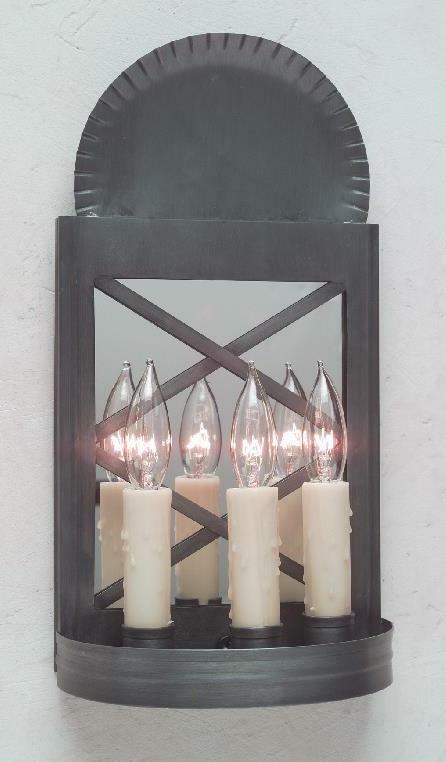 Certainly, with several styles and sizes of handcrafted antique mirrored sconces to choose from, you will find just the right one to complement your setting. 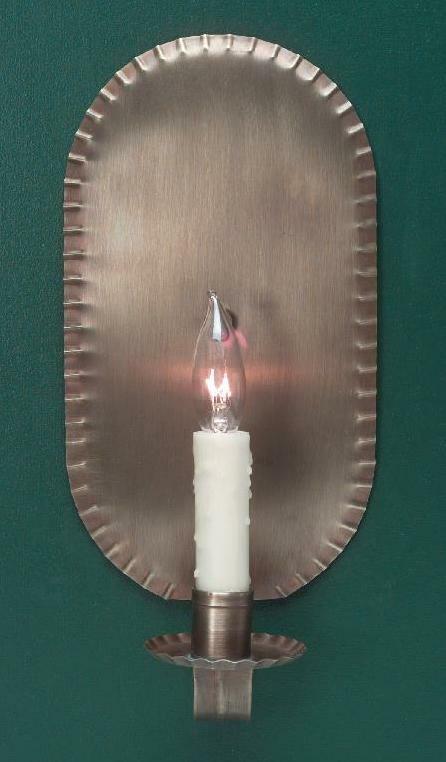 Of course, as with all of our lighting, we make each sconce by hand using tools and techniques of yesteryear. 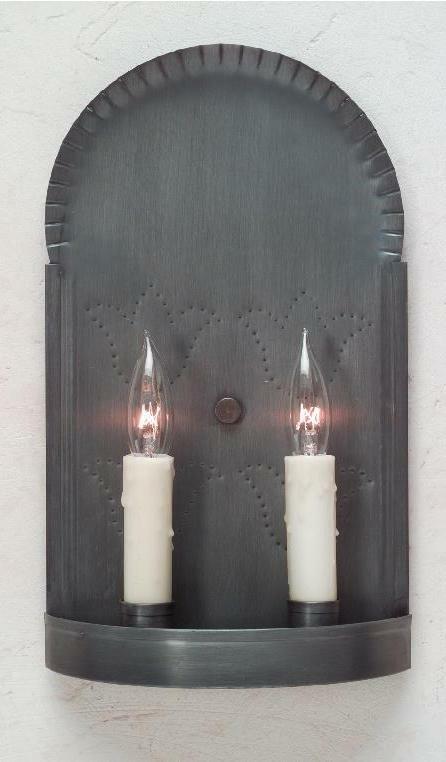 Furthermore, the mirror for these historic colonial sconces is hand cut and placed individually. Above all, the mirror’s reflection adds depth not only to the sconce, but also to the overall room design. 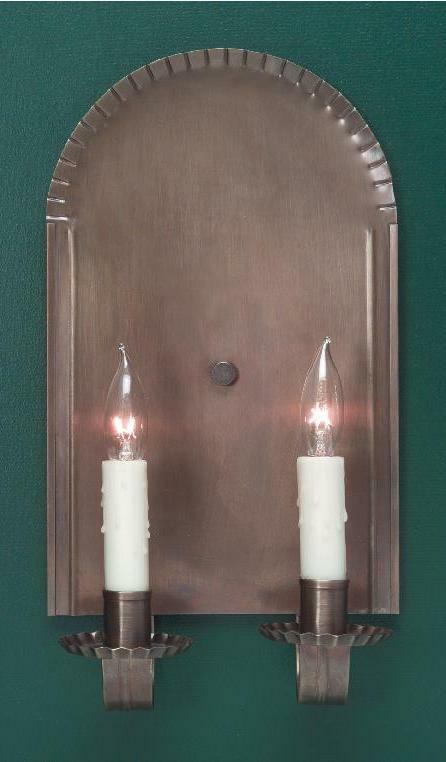 Especially relevant, each Colonial Mirrored Wall Sconce is available in your choice of solid brass or tin. Hence, it is important to keep this in mind when coordinating with the color scheme and style of your setting. 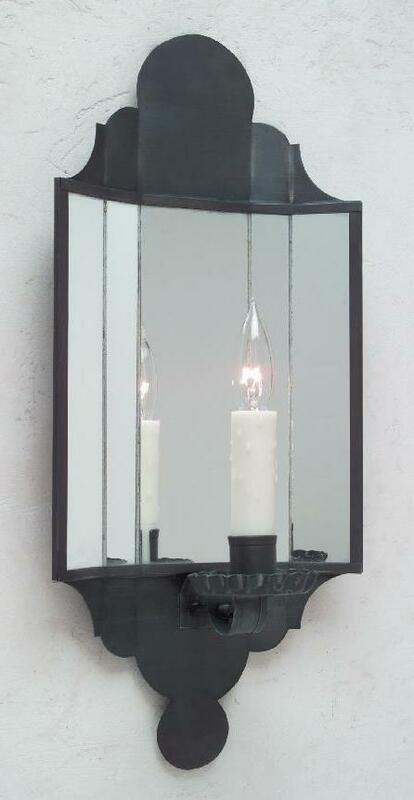 Most notably, the handsome Carpenter Hall Tin Mirrored Wall Sconce is a popular choice within the Mirrored Sconce Collection. Furthermore, since it’s available in 2 sizes, there is one just right for you. 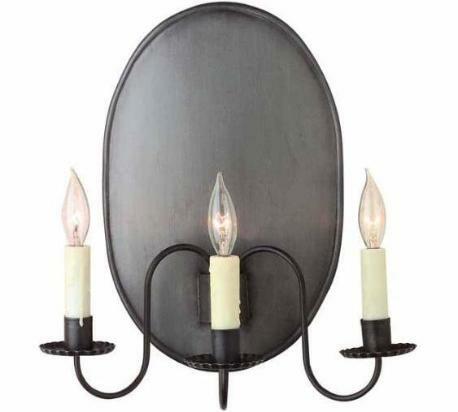 Likewise, the exquisite round Colonial Cut Mirrored Tin Wall Sconce has an elegant look of classic simplicity. Certainly, as with all of our mirrored wall sconces, the intricate mirrored design is created by individually placing each hand cut mirror piece. 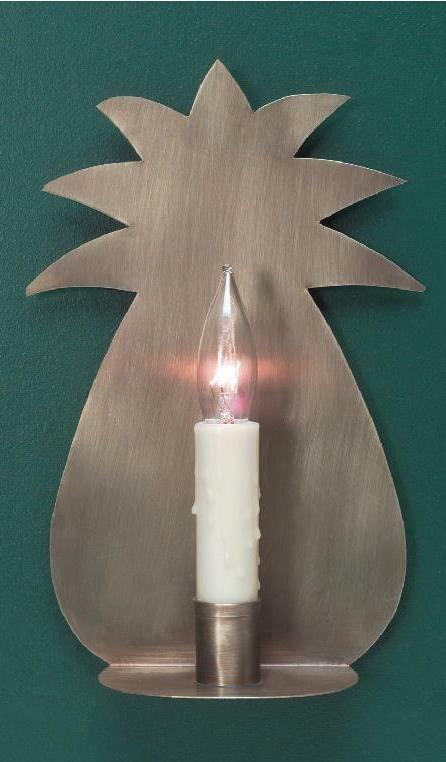 No matter what, whether you choose the standard electric version, or the primitive candle option, the lights’ reflection adds a delightful accent wherever it is placed. 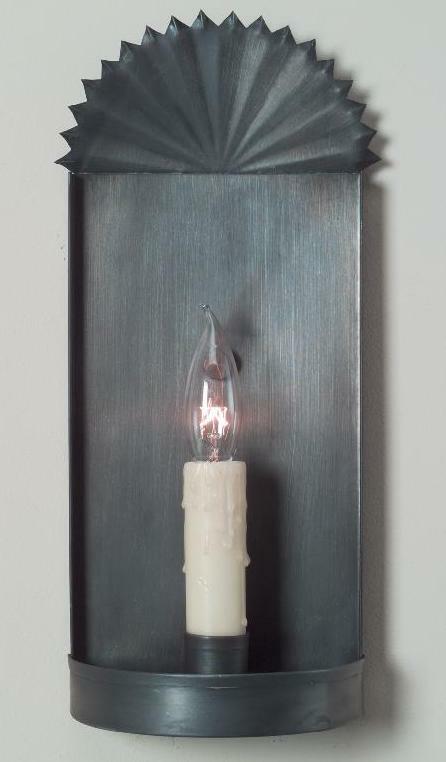 Even more important, you will enjoy this exquisite heirloom quality reproduction vintage Colonial Cut Mirrored Tin Wall Sconce for years to come.